A few weeks ago, an intriguing message popped into my Facebook inbox. It was from Kara, a classmate from my first phonetics class here, and she desperately needed my help. She was participating in a global scavenger hunt, and one of the items on the list required a photo that only I could get for her. “Well, of course I can help you,” I quickly responded. 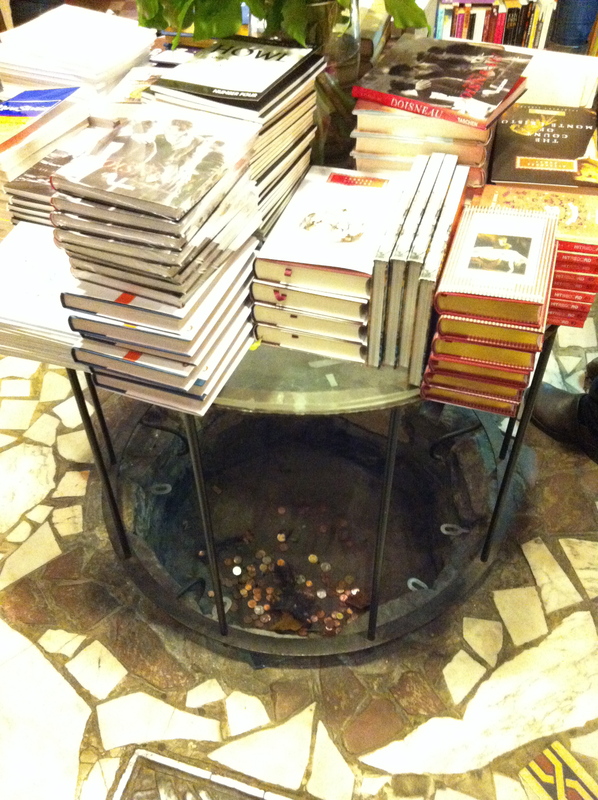 “Do you know which bookstore? I imagine it’s that Shakespeare/English bookstore just across from Notre Dame,” I wrote, thinking of the famous English-language bookstore, Shakespeare & Company, that I’d passed countless times on my way to class. We both did a quick Google search, and sure enough, this paraphrased passage from the Bible appears on a wall in that bookstore. 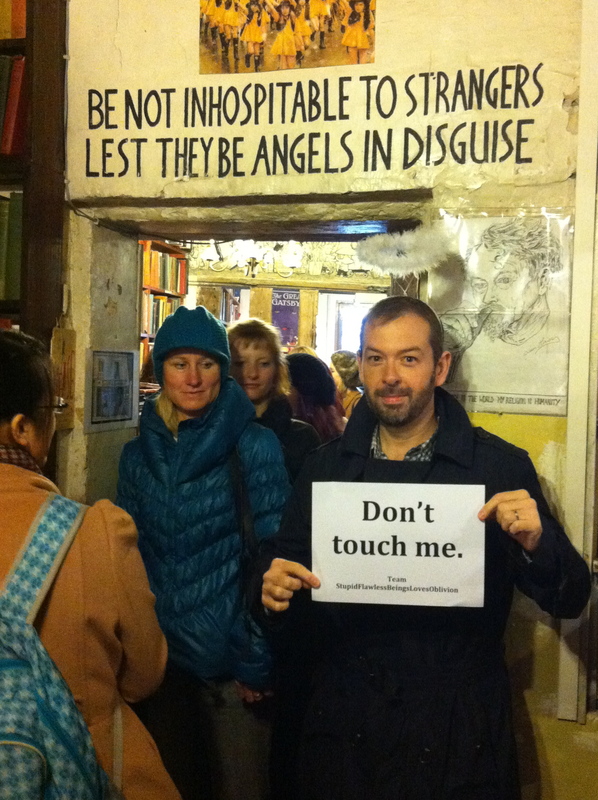 I dug out my feathery halo from an old costume I’d worn to a friend’s birthday party a few years ago, located Michel‘s slate-gray trenchcoat, and printed the “Don’t touch me” sign. The following Friday afternoon, I packed it all into a messenger bag and dragged Michel down to the Latin Quarter to help me complete my mission. What I didn’t know at the time was the interesting backstory of this bookstore. It is estimated that Whitman hosted some 50,000 such vagabonds de plume over the years. Shakespeare & Company quickly became an institution in Paris, counting among its many visitors such legends as Henry Miller, Anaïs Nin, Samuel Beckett, James Baldwin, Lawrence Durrell, William Burroughs, Allen Ginsberg, and Gregory Corso. 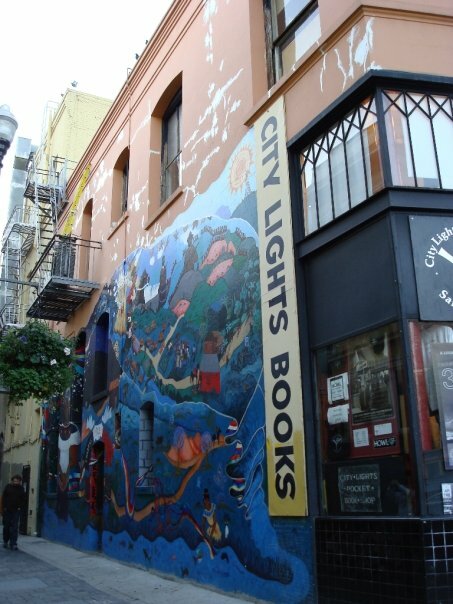 Whitman’s friend and beat poet Lawrence Ferlinghetti, who had initially encouraged Whitman to open the bookstore, later went on to found a similarly bohemian landmark in San Francisco (coincidentally one of my favorite spots in that city): City Lights Books. George Whitman passed away just last year, two days after his 98th birthday, at home in an apartment above his celebrated store. Completing this mission for Kara’s team was quirky fun, but it seems that when I donned that halo, I was also paying homage to a dearly departed “light in a dull and homogenised world” without even knowing it. Shakespeare & Company is located at 37 rue de la Bûcherie in the 5th arrondissement, just across the Seine from Notre Dame. The store is open every day from 10 am to 11 pm, except weekends when it opens at 11 am. What a beautiful post! The world is a mysterious and serendipitous place, and I’m glad we shared this odd adventure.